The Kansas District is currently exploring accreditation options for LCMS schools in Kansas. One of those options is National Lutheran School Accreditation (NLSA), based in St. Louis. NLSA encourages and recognizes schools that provide quality Christian education and engage in continuous improvement. The organization accredits 694 schools in the Synod that have chosen to undergo vigorous self-study and evaluation. Currently, there are more than 2,300 LCMS preschools, elementary schools and high schools in the United States. 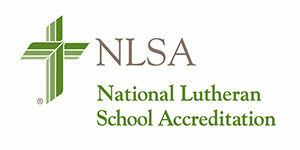 For more information about NLSA and Lutheran schools, visit the LuthEd site.